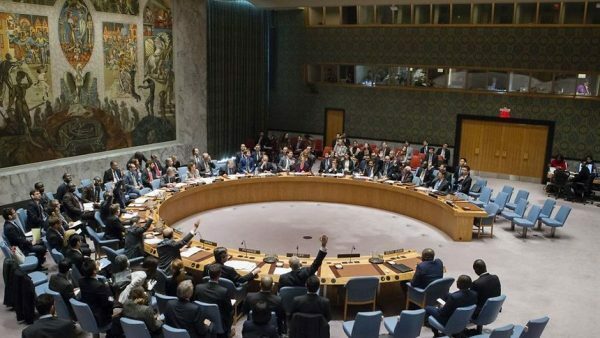 UNITED NATIONS (AP) — The U.N. Security Council called on all Lebanese parties Friday to implement a policy disassociating themselves from any external conflicts “as an important priority,” a statement that appears clearly aimed at Hezbollah which has sent fighters to Syria.The council also reiterated its call for implementation of its resolutions which “require the disarmament of all armed groups in Lebanon so that there will be no weapons or authority in Lebanon” except those of the state. This is also aimed at Hezbollah militants. The council statement issued Friday night welcomed the Jan. 31 announcement of a national unity government in Lebanon, which broke a nine-month deadlock. Council members encouraged all political leaders to build on the momentum of the new government’s formation “to address the pressing security, economic, social and humanitarian challenges facing the country” and called on the new government to urgently implement reforms, fight corruption and strengthen accountability. Rival political groups had been locked in disagreement over the make-up of a new government since May, after the country’s first parliamentary elections in nine years. A breakthrough became possible after weeks of backroom deals as Lebanon’s economic woes mounted. The new government is headed by Prime Minister Saad Hariri, the Western-backed Sunni politician who has held the job since 2016. 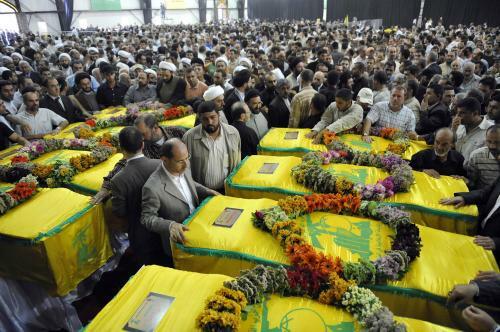 But Hezbollah, the powerful Shiite group, made significant gains at the expense of the largest Sunni party and controls three ministries including the health ministry. The Trump administration expressed concerns about Hezbollah holding three Cabinet posts and called on the new government to ensure that group is not supported by the ministries’ resources. Hezbollah leader Hassan Nasrallah said Wednesday the group would defend Iran in the event of war with the United States. He said the so-called axis of resistance, led by Iran, is the strongest it has ever been. The axis groups the Syrian government of President Bashar Assad with Shiite militias in Iraq and Hezbollah. Unlike the UN Russia praised Hezbollah involvement in Syria’s war. Russia’s ambassador in Beirut Alexander Zasypkin was quoted as saying by Sputnik on Saturday “When events started unfolding in Syria, Hezbollah sided with its lawful authorities, seeing the fight against terrorists in the region as its duty,” echoing a claim from the Assad regime that all its opponents are terrorists.